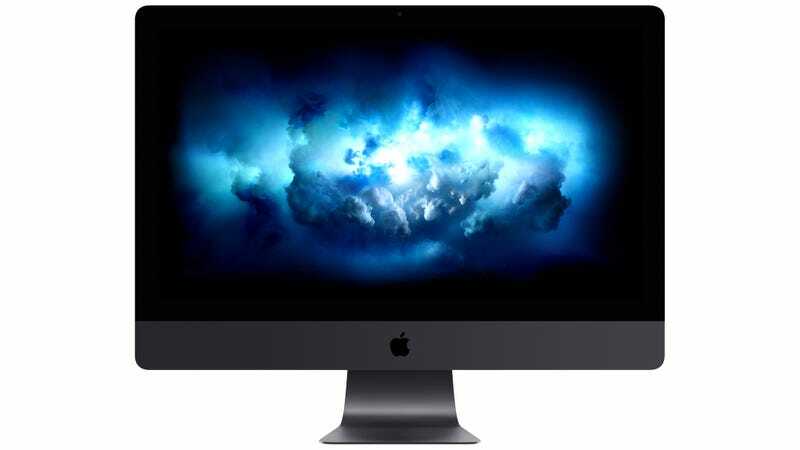 In addition to updated iMacs, MacBooks, and MacBook Pros, today at Apple’s WWDC conference, the company unveiled its new high-end workstation called the iMac Pro, featuring the same all-in-one design, but packed with enough power to make this the most powerful Mac computer to date. Well, according to Apple anyway. The most notable feature of the new iMac Pro is an 8-core Xeon processor which will be available in the $5,000 base version of the workstation, but that can be updated to a 10-, or 18-core Xeon processor, providing up to 22 teraflops of power, which will be important now that Apple is making a stronger push into virtual reality and other graphics-heavy applications. Graphics will be provided by a Radeon Vega with up to 16GB of VRAM memory that can power multiple 4K displays, or up to 44 million pixels at any given time, if you can find a screen that large. The iMac Pro can also be maxed out with 128GB of ECC memory and a 4TB SSD drive, all cooled by a new dual centrifugal fan system that hopefully won’t require you to wear headphones all day long while you work. Available at the end of the year, Apple is also including four Thunderbolt 3 ports and a 10GB ethernet connection on the back of the iMac Pro, allowing professionals to connect both external storage drives, as well as external graphics cards as needed. Full details of the iMac Pro aren’t available just yet, as Apple has only provided a “sneak peek” of the new hardware at WWDC, but the specs revealed so far might give pros hope that Apple hasn’t forgotten about them just yet. Now, it’s fairly certain that the iMac Pro isn’t the refreshed Mac Pro that was teased earlier this year—that long-overdue device is expected to come out next year. But this should help quell the complaints of “creative professionals” who complain that Apple has forgotten about them.